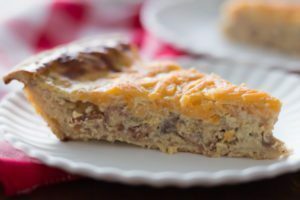 Easy Apple Caramelized Onion & Bacon Quiche Recipe. Sounds complicated, right? Well it’s not. 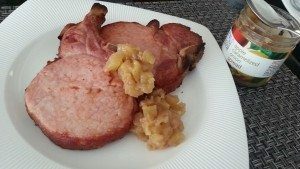 You can prepare this dish in 5 minutes. Most of the ingredients are household staples like eggs, cheese and Half & Half. 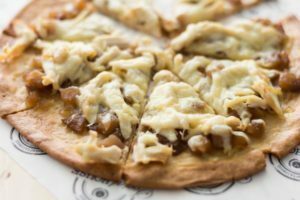 Spread Apple Caramelized Onion Spread on the pizza crust or flatbread, and top with grilled chicken and Gruyere cheese. In less than 5 minutes you’ll have an easy Chicken Flatbread Pizza that’s your guests will enjoy… even if your only guests are the sofa and TV.